Langley Residential Support Services (Langley) serve adults with intellectual disabilities, their families and our communities by providing quality, comprehensive residential and community support services that will enable these individuals to live valued, productive lives. The JLW hosts a Tuesday Night Book Club each week for the residents of Langley, and all of the girls who have participated on the committee in the past got me so excited about being involved. Our first event is next week and I am already looking forward to it. I previously thought that I would be at my training all day, but we ended up finishing things up at about 11:15am. 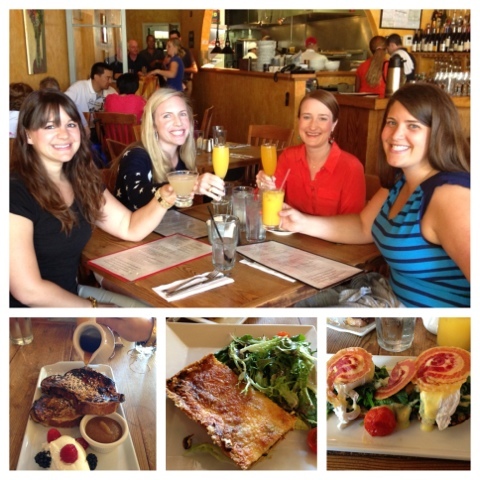 This made me super happy because I was able to meet my lady loves for brunch at Monmarte. It was the best brunch I have had in a while, and I am already looking forward to my next visit. That evening Josh, Alycyn and I went to cheer on our Aggies at Emily & Phil's house. We gorged on pizza, guacamole and beers as we cheered on Johnny and our team. 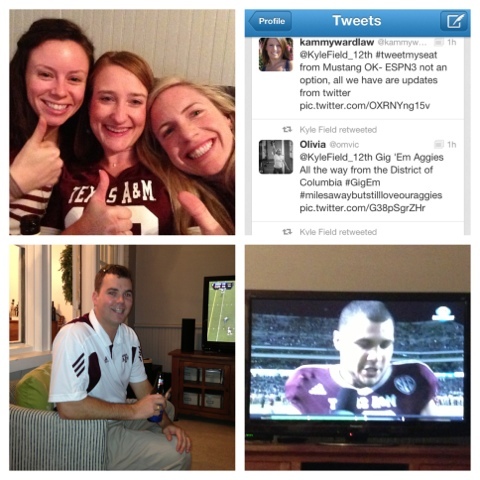 I took a selfie of Em, Aly and me and tweeted it at Kyle Field and they retweeted it. Holla!!!! After the Aggie victory, we watched the tu vs BYU game and then headed home. Eastern Time makes football watching a Long and Late night! 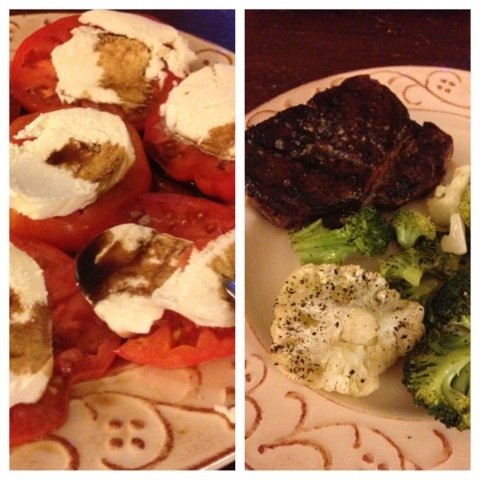 On Sunday, I had planned to go to CrossFit, but I was just not feeling it. I took the rare weekend off, and Josh and I had a brunch date instead. 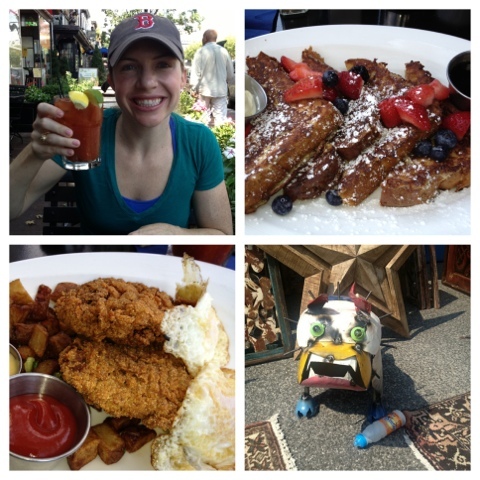 Bloody Mary, French Toast, Chicken Fried Steak and Eggs, and a Bulldog we saw on our walk through the flea market. After a lazy afternoon, we went to church and then stocked up for the week at the grocery store. 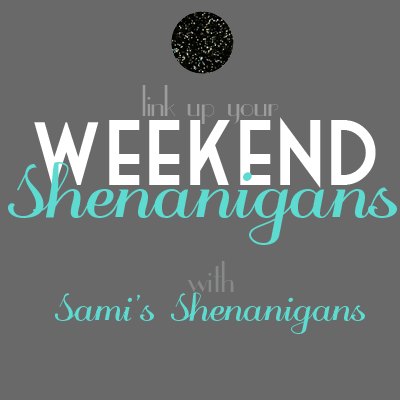 It was a great weekend, but I am already looking forward to Friday again. This weekend is highly anticipated A&M vs Alabama Game, and our group is already planning our next watch party with corresponding Bloody Mary Bar. Yum Yum Yum. Who is your football team?